Almond milk has been around for a while now. It seems to have started out in select stores, but now it has become mainstream and you see it in grocery stores everywhere (including places like Walmart and Costco)! It is great for lactose-intolerant people and is very low in calories. Well, I admit that I always bought my almond milk in the past until I decided to make my own. Yes, it is certainly more time consuming than just going to pick up at the store, but the taste is absolutely awesome! Try making it in your very own kitchen and be creative with your add-ins (see some of my variation options below the recipe). Enjoy! 1. Place the almonds in a large bowl and fill with water just until the almonds are covered. They will expand as they absorb the water. Let sit at least overnight (the longer the almonds soak, the creamier the almond milk will be). 2. Drain the almonds from the soaking water and rinse them under running water. The almonds should feel soft. 4. Blend on the highest speed for at least 2 minutes, or until the almonds have formed a very fine meal and the water is white. (Note: if using a food processor, process for at least 4 minutes total, until the above desired consistency is reached). 5. Line a strainer with cheesecloth (or nut bag), and place over a bowl. Pour the almond mixture into the strainer and let the milk run through. Gather the cheesecloth around the almond meal and twist close. Squeeze and press with clean hands to extract as much almond milk as possible. You should yield approximately 4 cups. 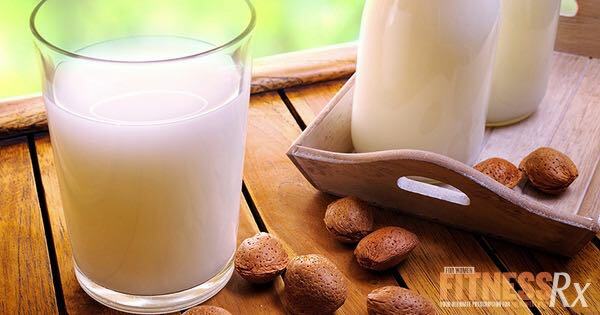 Taste the almond milk, and if a sweeter drink is desired, add sweetener to taste. Refrigerate. Store the almond milk in sealed containers in the fridge for up to two days. *Note: the nutrition information will vary depending upon how much pulp you have remaining in your milk. The more you strain, the fewer calories your milk will be.